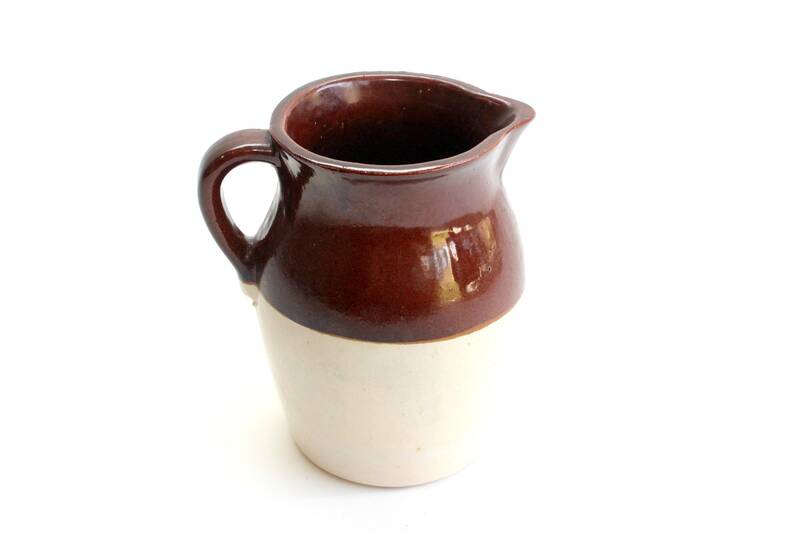 Vintage stoneware pitcher. 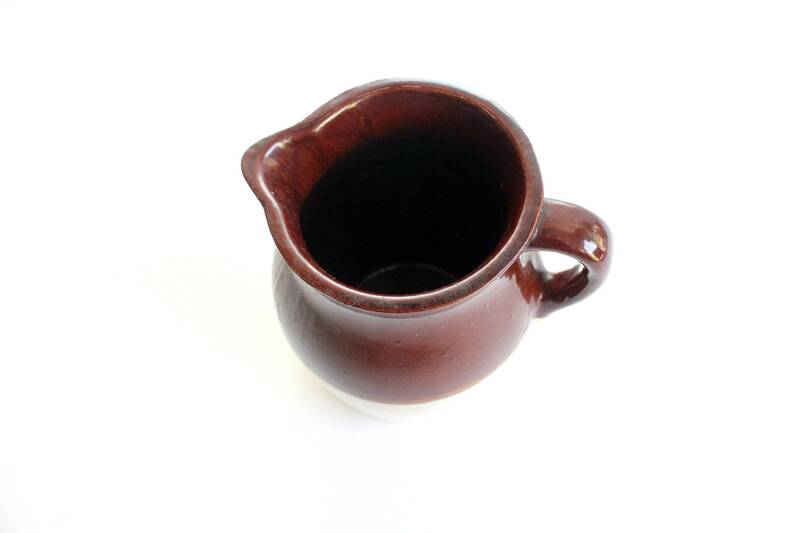 Large ceramic pitcher with handle. 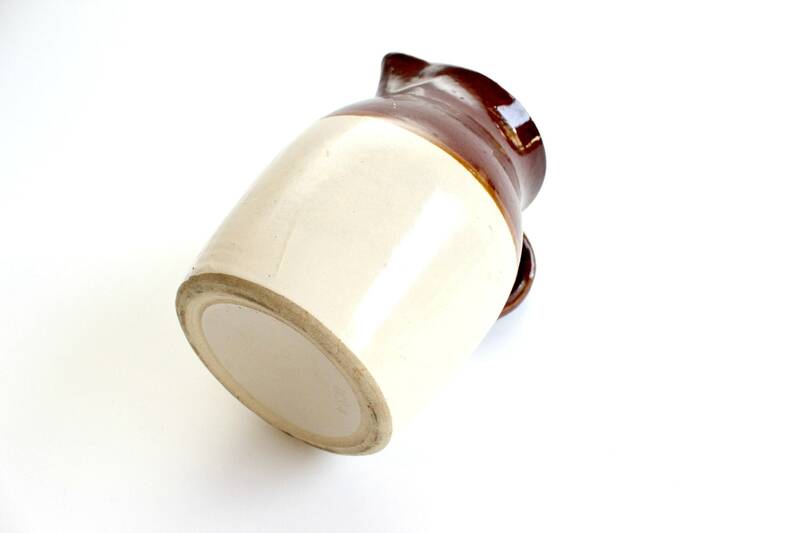 Dark brown glaze at the top. Marked USA on bottom. Makes a lovely vase. Looks great in a rustic or farmhouse style kitchen! Good vintage/used condition. 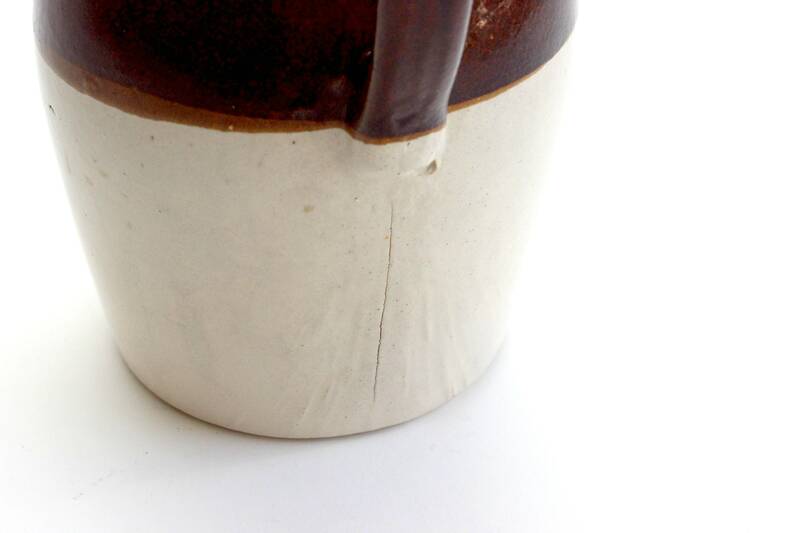 One light crack (see photos) on the back but this does not affect the solid structure of the pitcher. 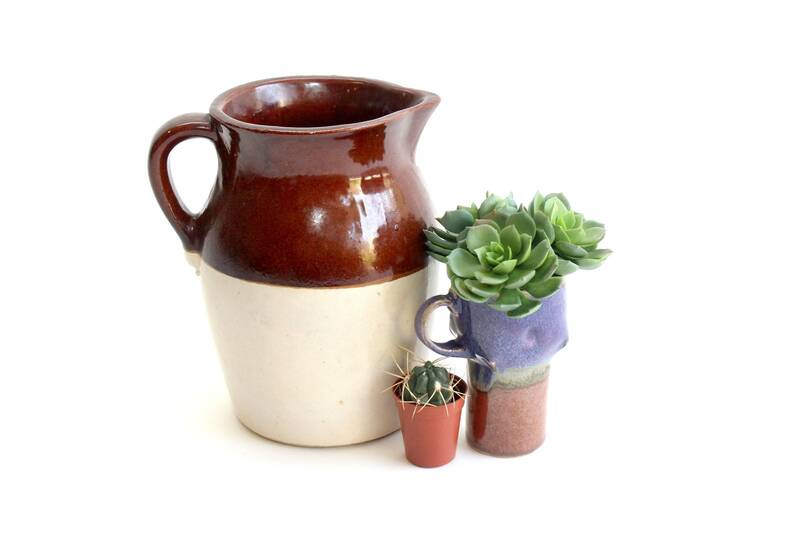 Measures 7 inches wide and 8.25 inches tall.